Click on the calendar to see whats coming up. The men of Kingdom ComeUNITY also receive regular training on how we can be more effective in transforming our community for Jesus. 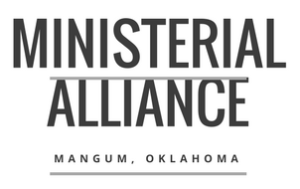 We continue to pray, seek the Lord’s wisdom, and devise plans on how to accomplish HIS vision for Mangum, Oklahoma. Invest into what we are doing with Kingdom ComeUNITY through shopping at our Store. Click on the SHOPPING CART ICON to enter the store. For more information fill out our form below. Starting today for as long as supplies and sizes last, those who make a tax-deductible donation of $20 or more to Kingdom ComeUNITY will receive one Kingdom ComeUNITY T-Shirt. To see the shirts we have go to: Kingdom ComeUNITY Online Store.